How many work boots does it take until you find a great pair? Just one, and it's Danner Men’s Brown 12435 Crafter Slip-Resistant Non-Metallic Safety Toe Waterproof Boots! These men's boots have the comfort and safety to keep you from having to look any further. ... (see full details) (see specifications) #DNN12435. How many work boots does it take until you find a great pair? Just one, and it's Danner Men’s Brown 12435 Crafter Slip-Resistant Non-Metallic Safety Toe Waterproof Boots! These men's boots have the comfort and safety to keep you from having to look any further. The brown 6-inch uppers of these Danner boots are crafted from oiled, Nubuck leather. Nubuck is a velvety effect on the leather that makes the material softer and suede-like, but Nubuck leather is stronger than suede. 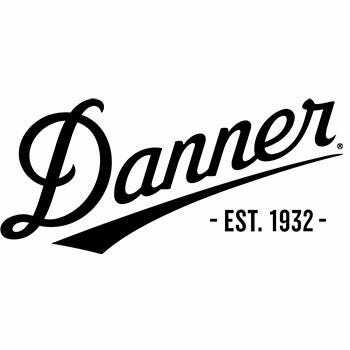 This waterproof leather combines with the Danner Dry liners to keep your feet dry and comfortable. It’s all-new! The Danner Comfort System (DCS) offers superior durability, support, and comfort. The anatomical design and broader toe boxes offer a truer and responsive fit. The patent-pending plush dual-density footbeds deliver ultimate cushion. These footbeds in the waterproof also provide you with underfoot venting for maximum airflow. Danner’s Airthotic clips provide additional heel support, while the fiberglass shanks add arch support. Slip and fall is the #1 workplace injury. Avoid this hazard with the Danner Crafter outsoles. These rugged outsoles will give you excellent oil- and slip-resistant traction. The 90-degree heels in the brown boots are ideal for going up and down on ladders. Non-metallic toes shield your feet from dangers, such as falling objects or accidental compaction. Danner Crafter Work Boots meet or exceed standards for ASTM F213-11 M, I/75, C/75. Looking for superior work footwear shouldn’t be an endless chore. You’ve already found Danner Men’s Brown 12435 Crafter Waterproof Non-Metallic Safety Toe Boots. Now you just need to order a pair! Danner Boots: Men's 12435 Waterproof Brown Leather Crafter Slip-Resistant Boots is being added to your cart.